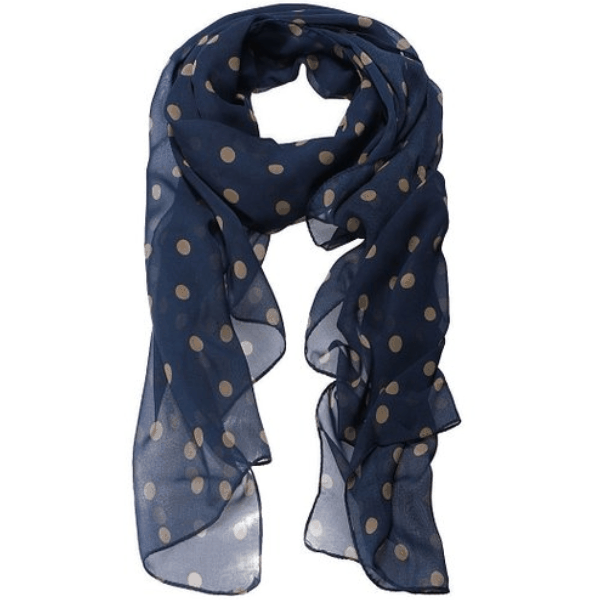 Navy Blue Polka Dot Scarf Just $2.89 + FREE Shipping! You are here: Home / Great Deals / Amazon Deals / Navy Blue Polka Dot Scarf Just $2.89 + FREE Shipping! You know how much we love scarves around here, so there’s no doubt that we adore this cute Navy Blue Polka Dot Scarf, which is just $2.89 + FREE Shipping right now!